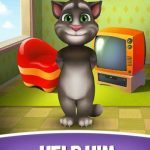 Talking Tom has been around for years, and he is a household name by now. That does not mean, though, that he is out of tricks. Outfit7’s brand new game My Talking Tom 2 features your favorite cat as he goes on an all new adventures. Available on Android and iOS, the game lets you adopt a baby Tom once again. This time around, however, there are even more things for you to do to keep him happy and healthy. My Talking Tom 2 comes with new mini games, food items, clothes, and even furniture for your can to play with. You can also now have more interactions with your pet. Pick him up, move him around, help him with the potty, or even pick on him a little. Tom also has a brand-new plane now that he can use to fly to different locations. There are a lot of things to explore in this new world and our compilation of My Talking Tom 2 tips, cheats and tricks in a complete strategy guide will help you through all of them! If you are going to keep a pet, you better make sure he is happy. This is the number one priority in the game. The good news is that there are different ways for you to make him happy. First, you can tap on the smiley face button when you are in the main yard. This will give you access to the mini games as well as the toys you have. Playing games and with toys both make Tom happy, so just pick whichever tickles your fancy. Speaking of tickles, you can also rub his tummy or hold him up and move him around to quickly improve his mood. Playing games will surely work up an appetite. Pay attention to Tom’s hunger levels. Click on the button with the fork and knife icon to access the kitchen. 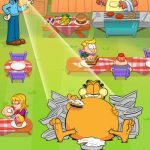 From here, just tap on or drag food items in order to feed Tom. If you are out of food, you can buy more from the store by tapping on the green plus sign. Try to buy food that give you the most value for your money. For example, four carrots fill up Tom’s hunger meter faster than a piece of cheese would, but they cost the same. Keep in mind that your pet won’t accept additional food once he is full. If you feel like feeding Tom some more, you can give him a Hunger Potion which will instantly make him hungry. In My Talking Tom 2 the shower button will take you to the bathroom. This is where Tom can do his business once he is full. You are free to close the door when he is doing this if you don’t feel like watching him squirm while getting things done. Once he is finished, you should probably give him a bath. Feel free to use any of the soaps since they all have the same result. It is just a matter of preference which one you use. Finally, if Tom is injured or sick, you will find the medicine cabinet in the bathroom as well. Just tap on the different remedies and see which one will cure whatever is ailing him. The moon and stars icon will tell you when Tom is tired. Of course, he will also be showing visible signs of sleepiness. Tap on the icon to take him to his bedroom. Make sure you tap on the lamp to turn it off. Otherwise, Tom will stay awake and you will end up wasting all that time trying to get him to sleep. After a few hours, his energy meter will be full, and you will be able to play with him again. If you are in a hurry, you can feed Tom an Energy Potion. You can buy this for coins or get it in exchange for watching a video advertisement. One last thing you should keep in mind is to send Tom to bed if you are about to log off for the day. His energy goes down as long as he is awake, even if you are not playing. You will end up with a tired and grouchy cat on your hands if you forget to tuck him into bed before logging off. Flight tokens are scattered throughout the different mini games available. Make sure you pick these up because they are fuel for Tom’s plane. There isn’t really any need to be exceptionally good in all of the mini games. Just focus on your favorite and try to get the best possible scores. The further you progress in the mini game of your choice, the easier it will be to pick up more Flight tokens. Try the different mini games and check which one will help you earn the most. An alternate way to earn a whole lot of Flight tokens is by leveling up. Each time you level up, you earn a whole bunch of flight tokens. In order to level up, you will need to earn enough experience. To do this, you can just attend to Tom’s daily routines in order to earn experience. Leveling up once should give you enough Flight tokens to go on at least one flight. All parents go through the phase where they wish their little baby does not grow up too soon. If you are feeling some separation anxiety for baby Tom, you can keep him in his cute baby form. Just go to the store and look for the Baby Potion. Feed it to an adult Tom and he will immediately shrink back to his baby form while allowing you to keep all your progress in the game. One form of currency in My Talking Tom 2 is the Star. These can be spent to unlock items that can help you on your adventure. Don’t worry about getting duplicates because they will automatically be converted to Stars. Even items from worlds that have not been unlocked are available when you spend stars. If you are going to spend your Stars, make sure you go for the rarest ones you can find. The items from the Adventure Island are often given out as rewards, so hold on to your money and save up for better chests. When you tap on the icon with cards on it, you will be taken to the Collection screen. Tucked away in your Collection are the different items that you can unlock. You can also tap on the See Now button to check what the different items look like when they are equipped. If the item that you want drops only in a certain area, feel free to keep flying to that world until you get it. You can also buy items with Stars if you don’t feel like waiting around. Even though the type of game you play does not have much bearing on the amount of experience you gain, it would be useful if you are good in one or two of them. There are several mini games available that will surely test your skills. We have listed them below to give you a better idea of how to play them. Cupid Tom – As the name suggests, you will be playing cupid. You get a random number of tokens whenever you hit the target. Keep an eye on your arrows to ensure that they do not miss. Space Trails – This mini game lets you control a spaceship that collects space dust that will increase the trail of your thrusters. It is somewhat similar in concept to .io games since you will be competing against other players. Bumping into another player’s trails will end your run, so be careful. 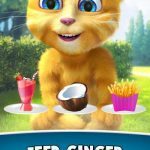 Pet Connect – This is a matching game where you need to link same-colored pets in order to earn trophies. The great thing about this mini game is that you can earn Flight tokens while playing it as well. Easy Squeezy – Tap and hold then drag on the screen in order to avoid the bugs. Don’t forget that you can squeeze in between objects if you time your movements correctly. This will make it easier for you to escape from the bugs. Ice Smash – This mini game is similar to Arkanoid where you need to break bricks using a single canon. The secret here is to practice your angled shots since the ball will bounce off the walls and hit more bricks in the process. Super Balloons – Tap and hold in order to inflate your balloons. Make sure you stop right away if you see a bee approaching. Let go of your balloon to keep the bees from attacking it. Once the coast is clear, you can continue inflating your balloon. Totem Blast – If you have played match-three games before, you should already be familiar with the strategies. Use power ups wisely, create special tiles, and focus on your goals. Dropping more flowers will reward you with even more tokens. While it is good to be competitive, one of the main reasons people play this game is the fun factor. Don’t take things too seriously. Collect as many items as you want then mix and match them with your cat. You can go for different themes in terms of decoration. You can even change Tom’s color scheme, allowing you to create a kitty that is truly unique. Raising a baby cat is fun but it isn’t easy. Make sure you take good care of your pet by following our My Talking Tom 2 tips, cheats and strategies! 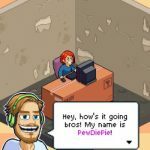 In case you know other tips or tricks for the game, be sure to drop us a line in the comment section!